2) If needed, the Ship to and/or Ship from addresses can also be edited from here. Click and make the necessary modifications, then click save. 3) On the right hand side, make sure that Stams.com is the shipping processor. 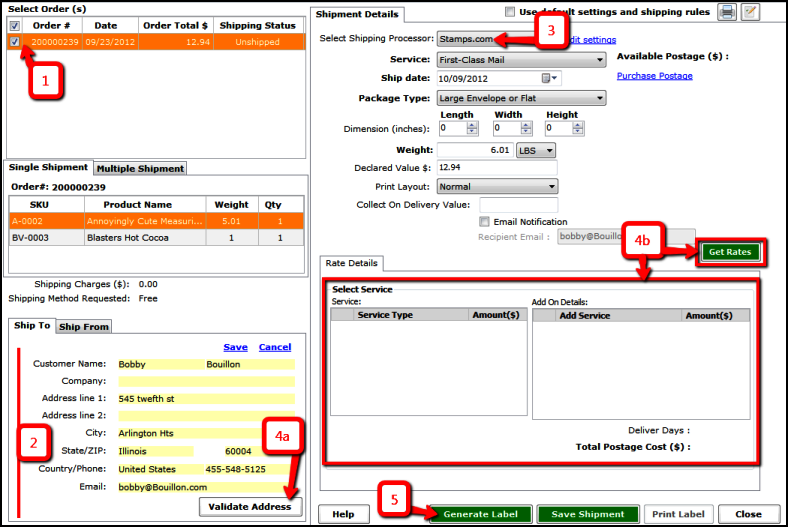 4) Select your shipping parameters for the current shipment. • First Validate Address, and confirm the address. • Then click the Get Rates button to get the current shipping rate for the service selected. 5) Click Generate label to create a label for Stamps.com. Note: These settings can be configured in the store configuration area or by clicking “edit settings” next to the shipping processor in the shipping module. Select the order you would like to ship. 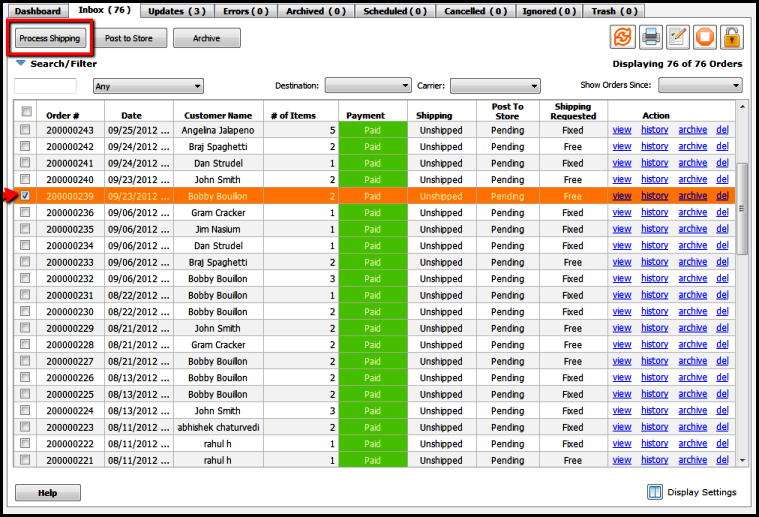 When an individual order is selected, it will be defaulted to Single Shipment. If this order has items that have been purchased but are not available to ship at the time of initial shipment, Multiple Shipment can be chosen to ship the available items.